The use of resistant plant varieties is an important control option in the management of seed beetles (Coleoptera: Bruchidae) under storage conditions. Therefore, the aim of the present study was to screen and select pea (Pisum L.) accessions for resistance to pulse beetle (Callosobruchus chinensis L.) under storage conditions. Seeds of four Pisum taxa including two accessions each of P. sativum L. (ACP 11, ACP 15), P. elatius M. Bieb. (AWP 442, AWP 449), P. fulvum Sibth. & Sm. (AWP 600, AWP 601) and one accession of P. abyssinicum A. Braun. (ACP 100) were evaluated using both free-choice and no-choice test methods for the pest under laboratory conditions. Resistance was evaluated by measuring number of eggs per seed by the bruchid (oviposition), number of holes per seed (adult emergence), percent of seed damage and seed weight loss (%). Both accessions of P. fulvum (AWP 600, AWP 601) and one accession each of P. elatius (AWP 442) and P. sativum (ACP 11) had no emergence holes and seed weight loss in both tests. 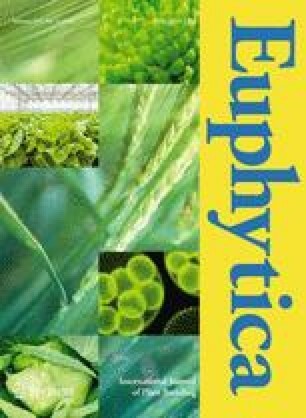 Overall the results suggest that the P. sativum accession, ACP 11, may be used to sustain the damage caused by the pulse beetle without using pesticides during the storage. Additionally, the accessions of wild species (P. elatius—AWP 442 and P. fulvum—AWP 600, AWP 601) that were identified as completely resistant could be used in breeding programs for the improvement of resistant cultivars. The current study was the Master Science thesis of the first author (AE). CT as adviser and CI as miner adviser thank Scientific Research Project Coordination Unit of Akdeniz University for financial support (FYL-2017-2123). Accessions belong to the project (119O060) financed by TUBITAK. Thanks are given to Professor Shahal Abbo from The Hebrew University of Jerusalem, Israel for supplying the P. abyssinicum in the study. Also, special thanks are given to anonymous reviewer for additional valuable comments. We have declared that no conflict of interests.